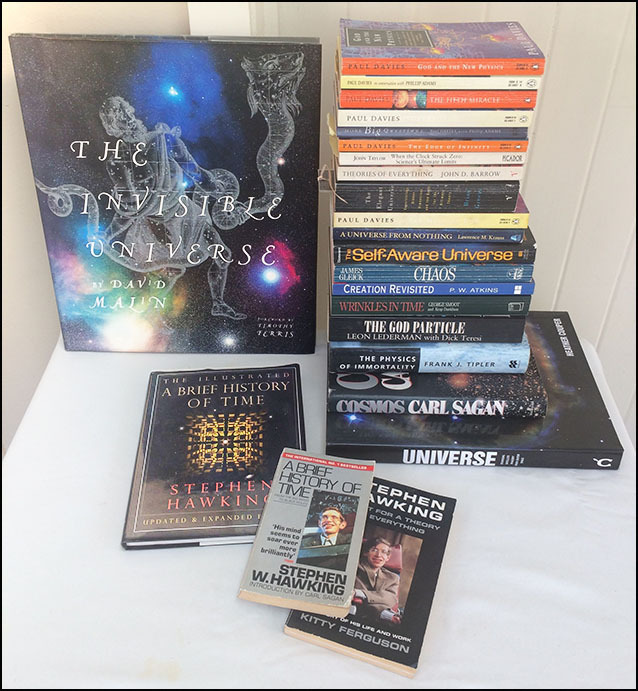 I owe a great debt to many authors (see my reading lists below) and in the field of sciences, especially to Stephen Hawking (1942 - 2018, NYT). His book A Brief History of Time (ABC) led me to Albert Einstein and science writers like Paul Davies (I read seven of his books), most recently Lawrence M. Krauss A Universe From Nothing (why there is something rather than nothing) and Amit Goswami The Self-Aware Universe (how consciousness creates the material world). My interest in cosmology was piqued by Carl Sagan's Cosmos in the early 1980s ... a Brief History of Time followed in 1988, and the gorgeous illustrated edition in 1996. 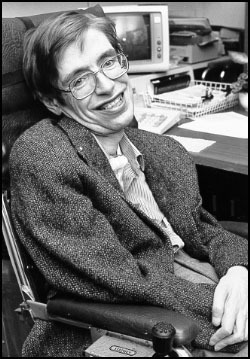 Thus my awakening to science and cosmology coincided with my spiritual awakening about thirty years ago. I have picked the book up many times over the years, and also put it down again many times. They say it is the most purchased but least read best seller ever (>10m sold) ... reading ABHOT is much easier with the excellent illustrated edition; it is also much more interesting and indeed fun. I have essays EINSTEIN, COSMOS, EXISTENCE, FUNDAMENTAL ISSUE, WHY.